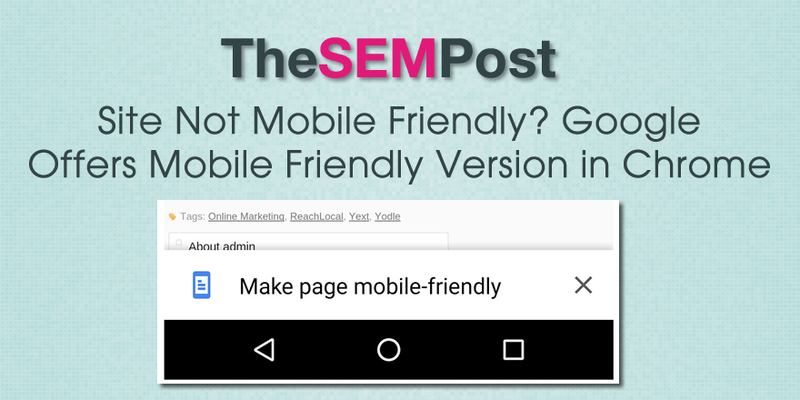 If you visit a page that isn’t mobile friendly, Google Chrome will now offer users the option to view a mobile friendly version of the page instead. 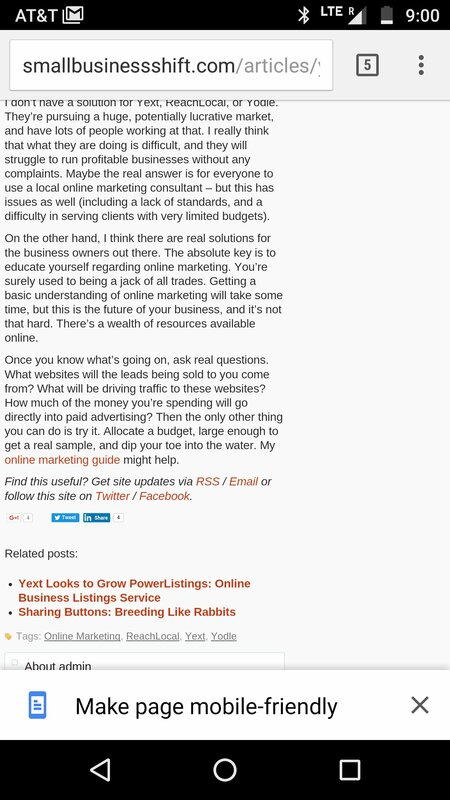 Joy Hawkins shared a screenshot that shows a non-mobile-friendly page, with a “Make page mobile-friendly” option at the bottom of the page. When you click the option, it will serve the user a mobile friendly version of the page that is much easier to read on a smartphone. This showed up on Google Chrome on Android. I couldn’t replicate it using Google Chrome or Google Search App for iOS. But it seems that Chrome made this change earlier this month to give users the option of viewing a mobile friendly page. This is definitely good for user experience in Chrome. 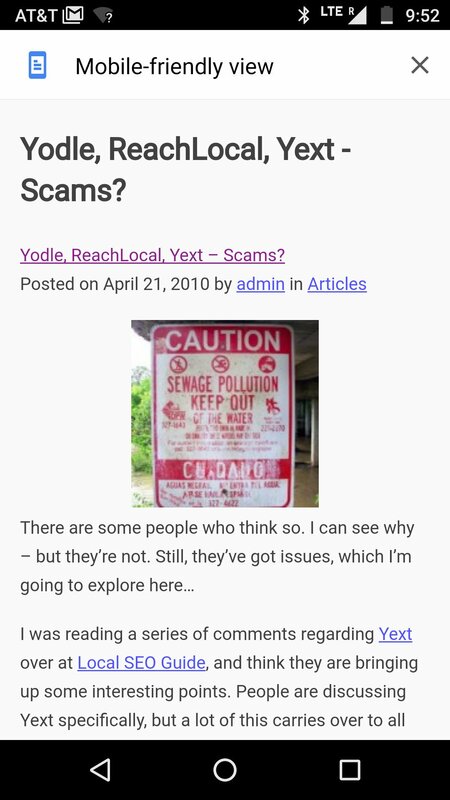 It is definitely annoying when trying to side scroll and read content on a page that isn’t mobile friendly, and this change makes it so a searcher might stay on the site instead of leaving and going to a competitor’s site instead. Google recently removed the mobile friendly tag from the mobile search results, making it harder for searchers to identify sites that aren’t mobile friendly.